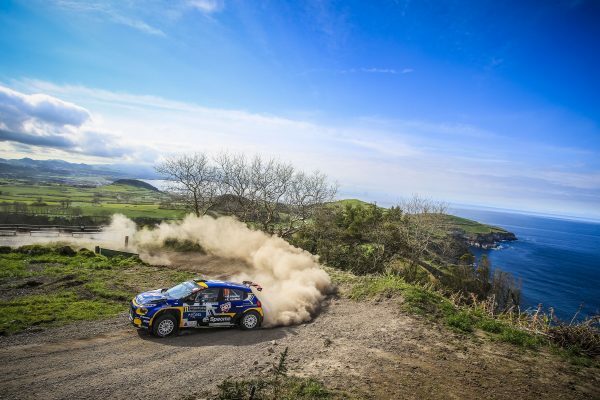 Mattias Adielsson endured a tough start to his FIA ERC1 Junior campaign after an electrical issue slowed his progress for the Sweden National Team on the opening three stages of the Azores Rallye. He was delayed more than a minute due to gremlins in his Saintéloc Racing-prepared Citroën C3 R5, which caused him to stop on both SS2 and SS3 and dropped him to sixth place in ERC1 Junior. Despite his car troubles Adielsson is still within striking range in the ERC1 Junior battle, 20.8s behind Tsouloftas in sixth.